Meet the Huawei nova 2 and Huawei nova 2 plus. They look like the Honor-like design behind and look closer to the flagship P-series – down to the dual camera. The dual camera is on the back, consisting of a 12MP sensor (1.25µm pixels) of a f/1.8 lens and an 8MP sensor to help with optical zoom and portrait mode. On the front is a surprisingly huge 20MP selfie camera (the P10 has an 8MP cam!). The nova 2 and nova 2 plus both feature metal bodies and differ mainly in screen – 5” for the smaller model, 5.5” for the plus. Both have the LPTS LCDs with 1080p resolution, both are covered with 2.5D curved glass. In dimensions the metal bodies measure only 6.9mm thick for both phones, quite slender. Still, the battery capacity is decent – 2,950mAh and 3,340mAh. Note that the Snapdragon 625 chipset of the first-gen has been replaced by a new Kirin 659 chipset. 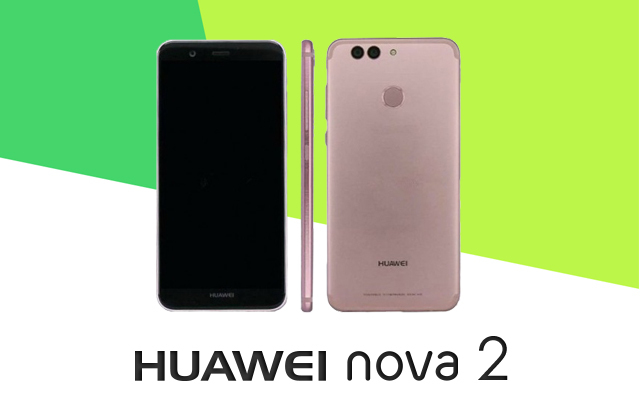 Check back for the comprehensive specification and feature of Huawei Nova 2.